An SR-22 is actually a form that an insurance company files with the DMV on behalf of the insured. It is not an insurance policy, but a form that tells the Department of Motor Vehicles that you have at least the minimum liability insurance coverage required by law. In California that is liability coverages of 15/30/5. An insurance company adds that form to your auto insurance policy. 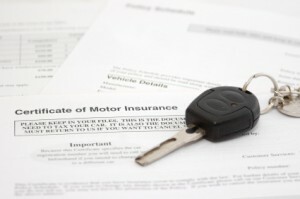 If your car insurance policy cancels or lapse, the insurance company is then required to notify the DMV. Your drivers license can then be suspended. Who needs an SR-22? The DMV may require an SR22 from someone who wants to reinstate their driving privileges following a suspension, car accident, traffic violation or a DUI. What if I don’t own a car? If you don’t own a car but still need to have an SR-22 you can obtain a non-owner auto policy. This type of policy can have the SR22 form. This policy tells the DMV that you don’t own a vehicle but if you drive someone’s car, you do have liability insurance. How much does an SR-22 cost? The cost is actually related to your insurance policy. The cost of the SR22 is usually a small one time fee charged by your insurance company that is added to your car insurance policy.